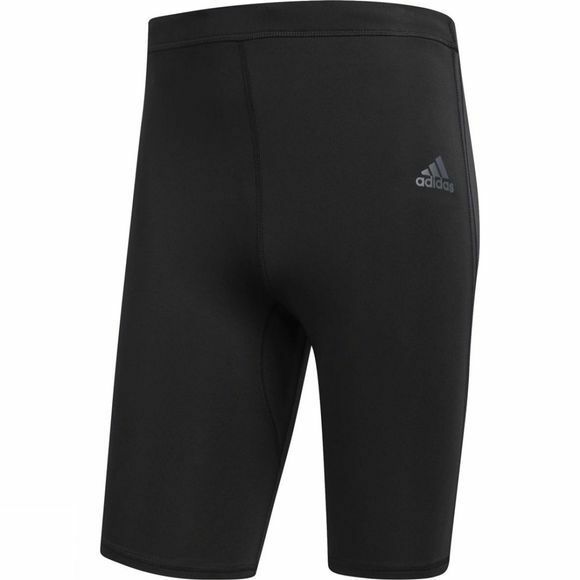 Keep cool on your runs in these men's short tights. Built in soft, stretchy fabric that moves fluidly with your stride, they have Climacool and mesh side panels for optimal breathability. Finished with a sweat-guard zip pocket and reflective details.